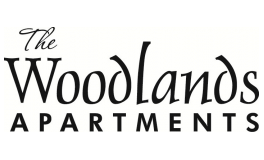 Welcome to The Woodlands Apartments, one of Menomonee Falls’ premier suburban communities. With only a few minute drive to I-41 / Highway 45 and on the corner of Appleton Ave and Good Hope Rd, you'll have easy access to anywhere in the Greater Milwaukee area.. The Woodlands offers the right amount of accessibility and peacefulness thanks to its convenient location, sitting at just a short drive from local farmland yet less than 30 minutes from the pleasures of Milwaukee’s downtown nightlife and dining, you’ll have the best of both worlds right at your fingertips at The Woodlands. Constructed in 2015, our apartments are filled with modern finishes and optimal amenities that allow you to live the lifestyle you desire. There are countless reasons to make The Woodlands Apartments your new home, so call us now to get more information on our available floor plans. We invite you to tour our beautiful community today and we look forward to welcoming you home! 1. Best Place to Live - Menomonee Falls has appeared on Monday Magazine's list of Best Places to Live. 2. Great Neighbors For Fun - Three Cellars, Spooky Stalks Haunted Cornfield, Oakwood Park, and North Hills Country Club! 3. Great Neighbors For Work - Kohl's Harley Davidson, Wells Fargo, Eaton, FIS, Wisconsin Lift Truck, Car Dealerships and Healthcare. 4. Golfer's Paradise: North Hills Country Club is next door. Haskell Noyes and Drestzka Park are less than 4 miles away! 5. Fantastic Location. Tucked away yet near everything!